Share your vision with the rest of Canada! Enter your artwork reflecting the theme “Canada’s Role in the World”, and your art could be showcased on posters across the country during International Development Week, February 2017! What does change look like to you? As Canada celebrates its 150th anniversary in 2017, it’s an important time to reflect on the impact we’ve had on the world – and imagine the impact we’d like to have in the future. 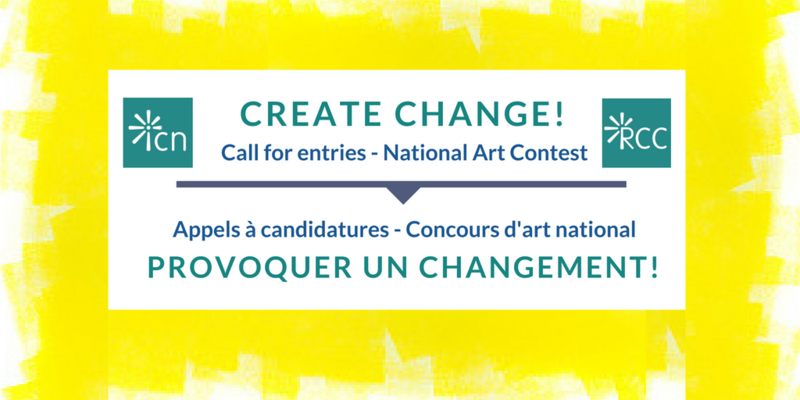 The Inter-Council Network, with support from Global Affairs Canada, is offering an exciting opportunity for young artists across Canada to bring people together for positive change through art. Open to all Canadian youth aged thirty and under as of October 31, 2016. Applicants must be a resident, permanent resident or citizen of Canada to enter. Submit your artwork by e-mail to Krista Dinsmore at idwcontest2017@bccic.ca by midnight October 31, 2016 along with a completed release form.